I have just seen vids of the new ship. I fail to see how bases can be defended with the long range this ship has. I would think most players will be as devestated as their bases. Yep, Breachers are bad enough - this is a click and win hull for sure. No chance of getting anywhere now. Most friends have left the game thanks to changes, and given the crazy chores now I'll doubtless join them. Only thing a Base can do is have a Defense Fleet that can destroy those Basilisks before they get too many shots off. The Morts have like almost half a minute Reload Time, before Rank Bonuses and other Reload Reduction. Could you use a Basilisk with the missiles to defend against itself? Saw one in FVF go against 3 arbalest II breachers and one witch doctor with emp module, basically froze and roasted the basilisk and 2 wardens with it, so it can be beaten in close range combat. You guys need to calm down it can be defeated. When a missile variant comes along i will update but for a spotter it isnt effective until we see a new sloth replacement. with that ships. You doesnt need to flatten a whole base to get the bounty. With the Basilisks, you get less damage as with Breachers only. 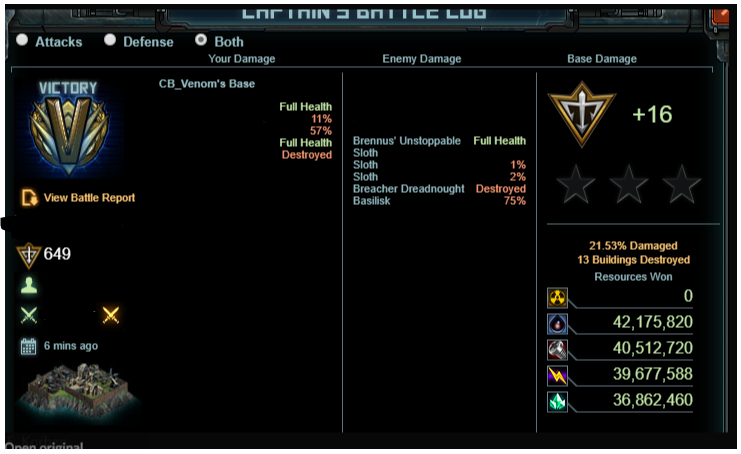 L114 pirate who redacts his guard fleet details vs a fleet that has 2 Tier 8 hulls in it. And what turret tech do you have? I'd like to see your battle reports next week where someone with 2 or 3 Breachers and 2 or 3 Basilisks visit. Hopefully by a top alliance. Sure will love to post a hit with 3 of them and some dreads You need to realise this hull has similar issues to msc. the salvo rate for the two using the missiles built for each is about the same thus you can practically shut down the missiles from landing unless you boost the projectile speed by a huge amount which lowers the damage making it ineffective. The morts again can be shut down also similar fashion. I will post when i i get hit by 3 of them but from what i have seen they die easy and cant output enough to be effective. Best hits I have seen with them are sniping things from outside.